When one wants to renew a car registration, for example, it is not necessary or especially helpful to start at the main home page of the state or territory government. Rees reportedly said he had seen enough examples where the idea had failed, and wasted an “inordinate” amount of money in the process, to know it wasn’t worth the trouble. 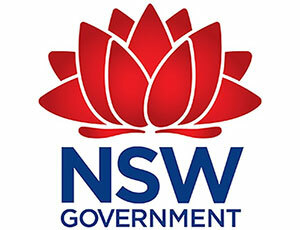 Instead, he drew attention to a new “simple online tool” the NSW government is working on called Feedback Assist, which he said would funnel all complaints, questions and compliments to a single channel, putting the onus on the government to direct them to the right place. Replacing thousands of government agency websites with a single site called gov.au was presented as a no-brainer by the federal government’s first digital transformation team led by Paul Shetler, who brought the idea and many others along with several colleagues from the Government Digital Service of the United Kingdom. The logic was that a single entry point would make life easier as it gradually took over a triage role for the rest of the sprawling bureaucracy, because very few people have a strong “mental map” of each agency, department, commission, office and bureau that makes up their government, let alone all their different online manifestations. Clearly, the rest of the Australian Public Service did not see this as the unassailable pearl of wisdom it was to Shetler and his former colleagues, many of whom have now left the Digital Transformation Agency as he did. The Minister for Digital Transformation Angus Taylor decided not go forward with gov.au as proposed at a crucial moment last year, because it had little support among senior public servants. “Departments and agencies didn’t feel there was a need for a single government website,” DTA interim chief Nerida O’Loughlin told Sentate Estimates this year. The junior minister and other DTA staff have tried to play down the story that the project was shelved due to lack of support, which is emblematic of a larger narrative of opposition to disruptive digital transformation inside the public service, given gov.au seemed to explicitly overturn the long-standing efforts of other departments to develop a presence online. It also seemed to be at cross-purposes to the Department of Finance’s govCMS project, which has made it easier for agencies to launch new websites by using a version of the Drupal open source content management platform. Not so, the two agencies said in a joint blog post last year, arguing the projects were in fact complementary. The DTA has been very quiet about the project since shortly after that. In February Taylor told The Mandarin it would still deliver some kind of standard “format … that would be used by all government” at some point, and that it had a “particular focus” on working with the Department of Human Services. That may happen down the track, but a comparison between the original vision and the holding page that has graced the gov.au domain since it was put on the backburner says it all, really.